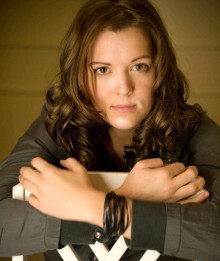 It’s hard to believe Brandi Carlile isn’t from the South. Her songs can’t help but have that country-way about them: The storytelling narratives, the themes getting through hard times and missing someone so much it threatens to consume you all together — even her speaking voice has a bit of a twang. But mostly it’s her charm. She is warm and friendly, like she’d give you a ride home if she saw you in the rain or offer you a cup of tea as soon as you walked into her house. That genuine charisma is why so many fans have become smitten with her over the course of career. Well, that and her voice. Posted August 21st, 2012 & filed under Interviews.